Catching up with Adam Ondra about his months as a fulltime climber was not the only reason why the Rest Jug team visited the Danish capital earlier this September. 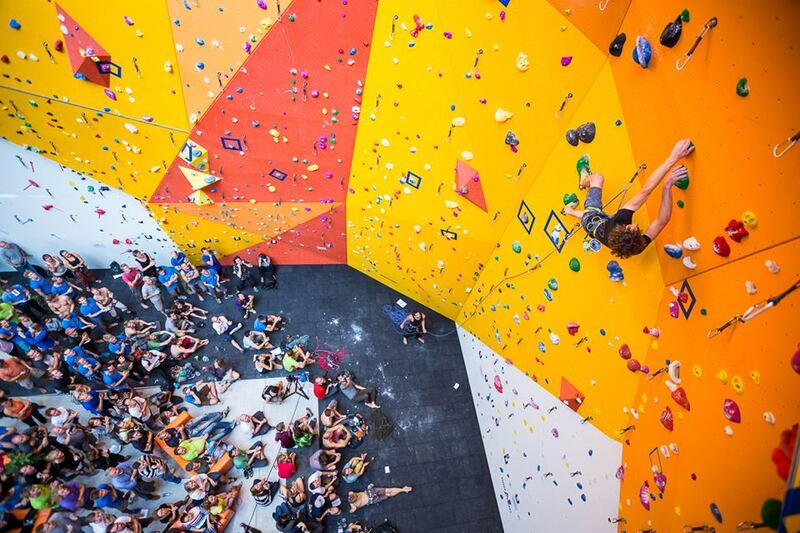 In fact, our mission was also to attend the opening of Blocs & Walls, Copenhagen’s new climbing centre. 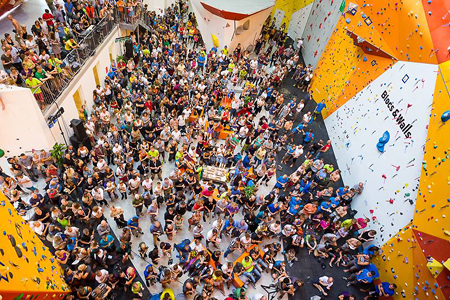 The coveted event took place on September 7 and featured friendly competitions for lead and boulder, a lead duel in the style of Arco’s Rock Master (but carried out on the speed wall) and Adam Ondra tackling the hardest route of the gym, plus various talks and presentations. A day like this had a lot of expectations to live up to given the quality of climbing walls of fellow Nordic capitals Oslo and Stockholm (which we have, literally, witnessed first-hand) and the Scandinavian penchant for perfectly run events. But everything went very smoothly, making for a truly enjoyable day. So congratulations to the Blocs & Walls staff and to Hansen Agenda, which ran the event. Below is a rough & ready video of Adam’s 8b/+ climb. a shorter wall equipped mostly with top ropes and accessible from a mezzanine above one of the boulder walls. The top rope mezzanine area (or parts of it) can be easily “cordoned off” so that events such as courses or parties can be run in privacy if needed. Sometimes we have seen gyms which were unable to provide an environment where beginners can follow the instructor easily, but we doubt this will be a problem in B&W, so well done! Furthermore, the gym area with machines and weights can complement very well the usual training-by-climbing and allow for compensation training (one of the most underestimated aspects of climbing fitness and injury avoidance). Again, brownie points for the designers. At the time of writing, some training tools specific for climbers were not present but there’s no reason not to see them coming in the near future and, indeed, they are. We got in touch with Ola Mattsson, who was heavily involved in design and architectural work of the two-year project behind the centre, and he confirmed that they are “building an area with campus boards and all imaginable training facilities for climbers: pull-up boards, system boards, rock balls etc”. He also gave us some key figures explaining that Blocs & Walls currently boasts 74 top anchors for wall climbing and 2200 m² of overall climbing surface. More importantly, we are happy to report that B&W are really making an effort to ensure climbing is rather affordable. For example, one month of unlimited climbing will cost you the equivalent of € 40 against a price between € 62 and € 97 in comparable walls of other major European cities such as Stockholm, London, Amsterdam and Milan. Similarly, one year of climbing will be € 402 at Blocs & Walls and between € 483 and € 675 in the aforementioned cities. The prices are calculated using the average exchange rate of the last 12 months and do not consider average disposable income and average cost of living in the various cities. But Copenhagen is not exactly an inexpensive place where to live and therefore the prices offered are even more impressive. 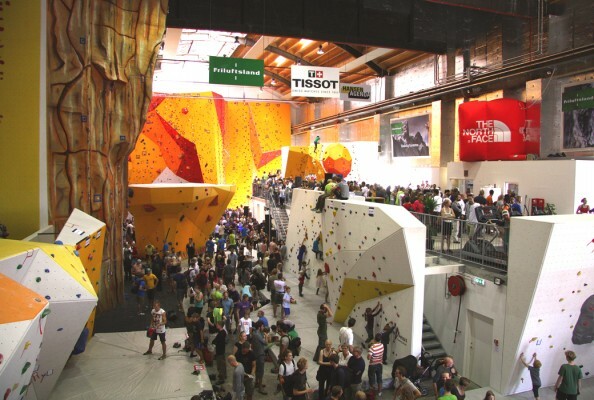 In conclusion, Blocs & Walls is definitely a top notch climbing wall that will serve the Copenhagen climbers more than well and for very affordable prices. 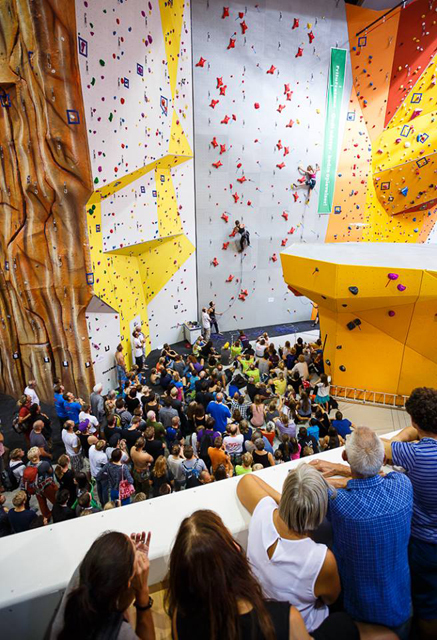 We hope that the thoughtfulness behind its design and construction of this gym will contribute to create a great benchmark when it comes to building or renewing climbing walls. At this point, we’d like to thank Ola Mattsson of Blocs & Walls and Giuseppe Liverino of the International Marketing department of Wonderful Copenhagen for having brought to our attention the development and opening of Blocs & Walls and for having guided us and helped us during our stay in Copenhagen. We are done with words and images, the last thing we can offer is the official video of the opening day, with footage that shows the facility in better detail. Enjoy!